PS Consulting Group Pte Ltd is accredited by the Singapore Workforce Development Agency as a training provider of such national training initiatives as WSQ ESS (Employability Skills System) and CREST (Critical Enabling Skills Training). Accordingly, our trainees enjoy up to 90% Skills Development Fund (SDF) )training grant subject to the prevailing SDF Funding Guidelines. 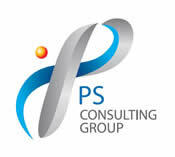 In addition, PS Consulting also runs a series of work skills, capability and management development programmes. Please contact us to explore further opportunities.